In its August 27, 2015 Browning-Ferris decision, the National Labor Relations Board (the "Board") departed from 30 years of precedent and greatly expanded its "joint employer" standard under the National Labor Relations Act (the "NLRA"). Stating that its "jurisprudence [was] increasingly out of step with changing economic circumstances, particularly the dramatic growth in contingent employment relationships," the Board found that an entity will be considered a joint employer of staffing firm employees if that entity exercises "indirect control" over their working conditions or even if it has merely reserved the authority to do so. Browning-Ferris could significantly impact businesses using contingent or temporary workers under an agreement with staffing firms. As background, Browning-Ferris Industries of California ("BFI") ran a recycling facility and contracted with Leadpoint Business Services ("Leadpoint") for Leadpoint to provide workers at BFI’s facility. Leadpoint is described on its website as a company that "provides high performance work teams on demand." Among its provisions, BFI’s and Leadpoint’s contract (the "Agreement") stated that Leadpoint was the sole employer of the personnel it supplied to BFI and that nothing in the Agreement would be construed to create an employment relationship between BFI and the Leadpoint-supplied personnel. In June 2013, the International Brotherhood of Teamsters, Local 350 (the "Union"), filed a representation petition, seeking to represent some of Leadpoint’s employees and claimed BFI was a joint employer of those employees. After the Regional Director held that Leadpoint and BFI were not joint employers, the Union filed a request for review which the Board granted. The Board then adopted its new, broader standard for determining joint employer status and found that BFI is a joint employer with Leadpoint. Prior to Browning-Ferris, the Agreement would have offered BFI protection from a joint employer finding because the Board would only make a joint employer determination when two entities exerted such direct and significant control over the same employees that they shared or co-determined matters governing the essential terms and conditions of employment. This inquiry required looking at several factors, including the right to hire, terminate, discipline, supervise, and direct the employees. Most importantly, the control exercised by the purported joint employer had to be actual, direct and substantial, and not theoretical, possible, limited, or routine. No longer is that the case. In Browning-Ferris, the Board’s holding outlined a two-part inquiry that greatly expands the joint employer definition under the NLRA. Now, the Board may make a joint employer finding if: i) both employers are common law employers; and ii) if they "share or codetermine" the matters governing the essential terms and conditions of employment. The Board broadened the joint employer definition to include not only hiring, firing, and discipline but also supervision and direction, dictating the number of workers to be supplied, controlling scheduling, seniority, and overtime, assigning work and determining the manner and method of work performance. The Board further indicated it would no longer require that a joint employer possess and exercise in a direct and immediate way the authority to control the employees’ terms and conditions of employment. Rather, the right to control, even without exercising it, may be enough to find joint employer status. After the Board found that BFI and Leadpoint were joint employers, the ballots from the previously held representation election were counted and the Regional Director confirmed that the Union had won and certified the Union as the exclusive representative of Leadpoint’s employees. On September 25, 2015, the Union filed an unfair labor practice charge, alleging that Republic Services, Inc. (BFI’s successor) failed to provide information and refused to bargain with it in violation of the NLRA. Unless dismissed beforehand, the matter will be heard before an administrative law judge, whose findings will be subject to review by the Court of Appeals and, possibly, the United States Supreme Court. Interestingly, in a more recent decision examining Browning-Ferris, a Regional Director of the NLRB decided that a temporary staffing firm was not a joint employer with the subcontractor to whom the staffing firm provided temporary employees. Green Jobworks, LLC / ACECO, LLC, and Construction and Master Laborers’ Local Union No. 11, Petitioner. Case 05-RC-154596 (October 21, 2015). That decision has been appealed to the Board and is currently pending. If Browning-Ferris becomes the law of the land, the reality of joint employer collective bargaining may prove troublesome. Coordinating negotiations about employment policies, wages, and benefits between and among multiple unrelated businesses, each with its own unique interests to advance and protect as well as various levels of financial means, would be a nightmare even though employers are ostensibly "on the same side" at the bargaining table. A short list of potential issues includes: What if one company can afford to pay higher wages, but the other(s) cannot? Will the joint employers be required to share all of their company information with each other to ensure they’re all being forthcoming in their bargaining positions? Will they have to produce a joint handbook? Maybe more troubling is the potential ancillary effect of this decision on decisions of other agencies, such as the Department of Labor and Internal Revenue Service. Will such agencies use Browning-Ferris to support joint employer liability under their regulations? Ultimately, it is important to remember that Browning-Ferris is an NLRB administrative ruling, and thus is not binding on non-parties. However, unless and until overturned in court (or otherwise modified by later Board decision or congressional directive), Browning-Ferris will give unions the foundation from which they can begin aggressively launching organizing campaigns and filing unfair labor practice charges. Any employer using contractors, outsourcing work, or using staffing agencies should look closely at its current practices and agreements to scale back the control it exercises and reserves over third-party workers. However, doing so and maintaining the safety, efficiency, and profitability of your business may be a tough balance to strike. 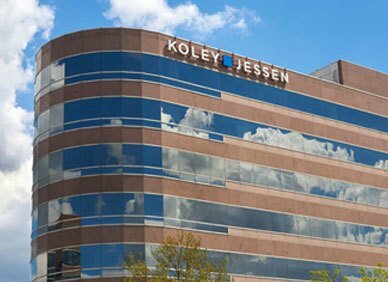 The attorneys in Koley Jessen’s Employment, Labor and Benefits Practice group are available to further discuss the Browning-Ferris decision and how your agreements can be updated to address these considerations.